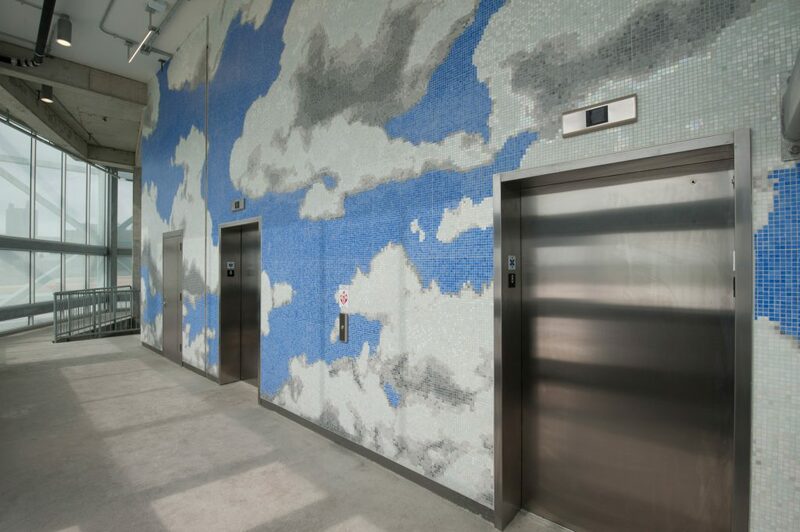 “Pax” is a large glass tile mosaic depicting clouds and sky and consisting of over 200,000 individual glass tiles.Â The mosaic covers the entire wall of the glass enclosed rooftop elevator lobby of the Goodale Convention Center Parking Garage. When inside the rooftop lobby, the mosaic clouds rise above the viewer. During the day the art piece shimmers and the texture of the tile is an invitation to touch the clouds. At twilight as the mosaic becomes illuminated,Â the clouds are part of the city’s skyline and can be spotted from the streets below and miles away. Jennifer Dunlap graduated from Columbus College of Art and Design with a degree in photography. 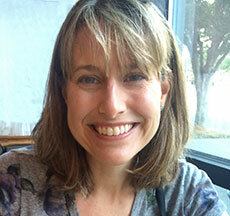 Since graduating, she has worked professionally as a freelance photographer and a fine artist. As a mixed media artist, she combines photography with other media such as silkscreen and enamels, glass, tile mosaic and fabrics.